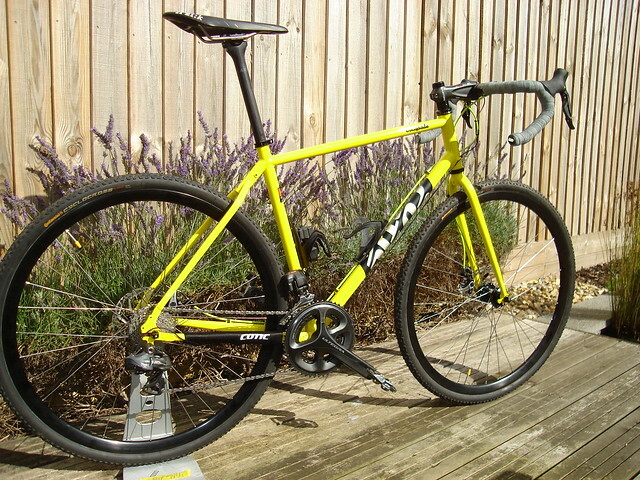 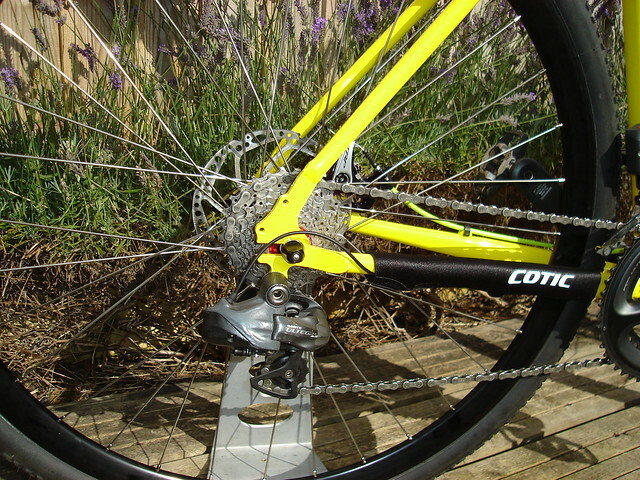 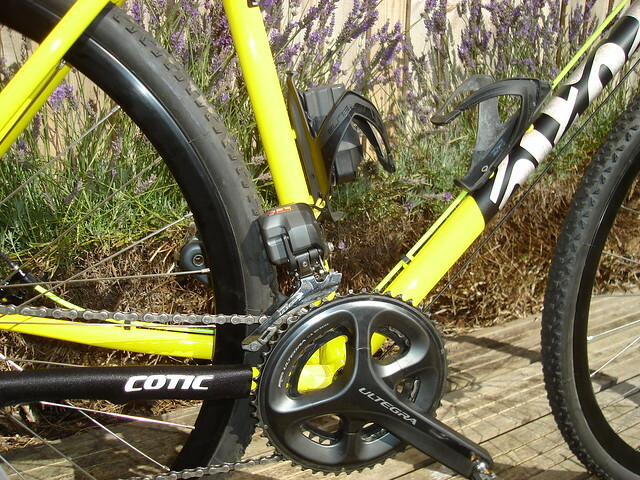 Some lovely pics from Jamie who has done the first build we have seen using Shimano Di2. 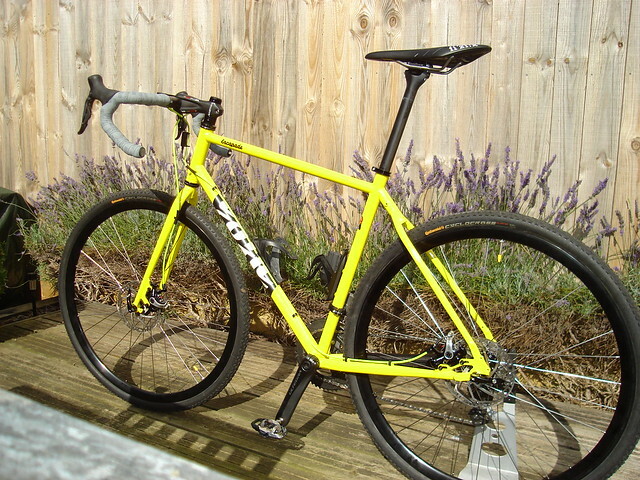 It's not kit we really planned on people using when we first developed the bike, but I think you'll agree it's gone on very nicely. 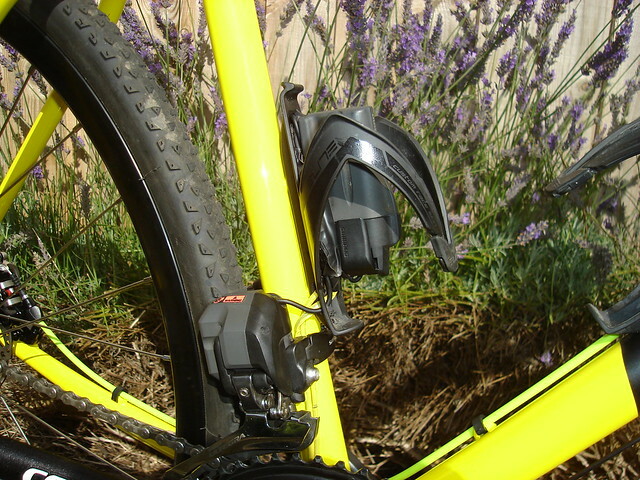 You can see the control box neatly clipped to the brake cable in front of the head tube, and the cable runs along the usual derailleur cable run down the down tube and the external battery clipped to the seat tube bottle bosses. 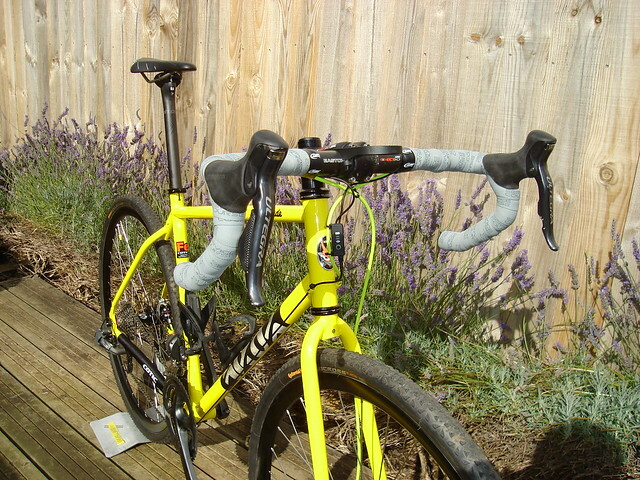 It even runs nicely to the rear much snugly under the chainstay protector.